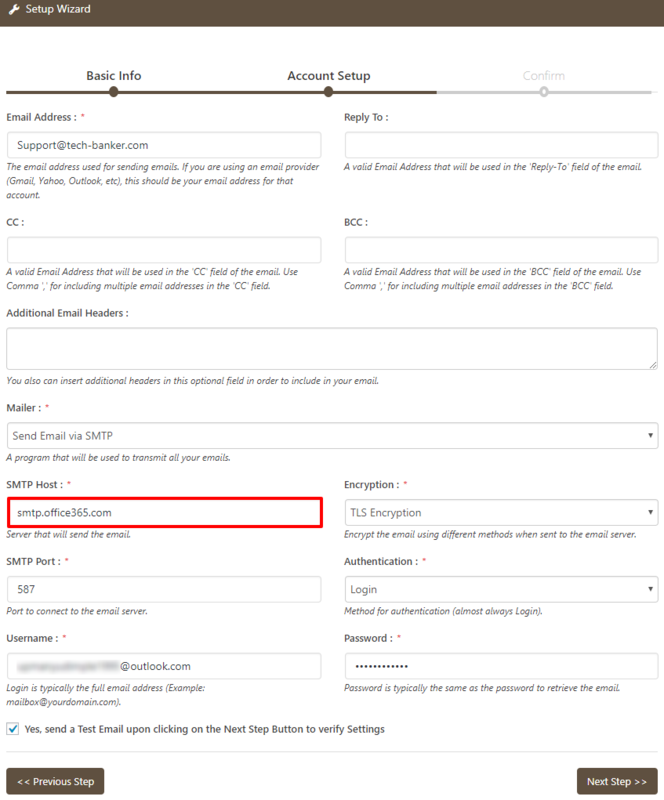 How to Setup Office 365 SMTP with WP Mail Bank? It is very common to receive Email Delivery issues in WordPress but this can be fixed by using WP Mail bank for safe and authenticated email delivery. 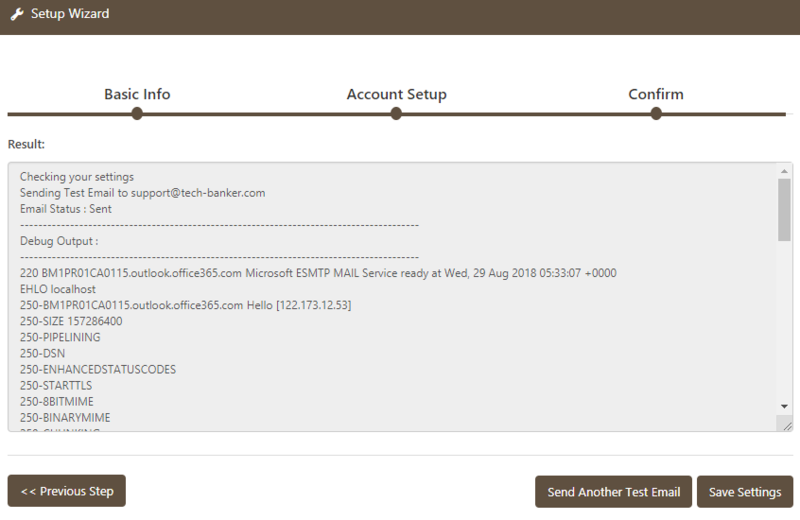 In this article, we tell you how to Setup Office 365 SMTP with WP Mail Bank to send emails. Here is the step-by-step guide on setting up WP Mail Bank WordPress plugin with Office 365. 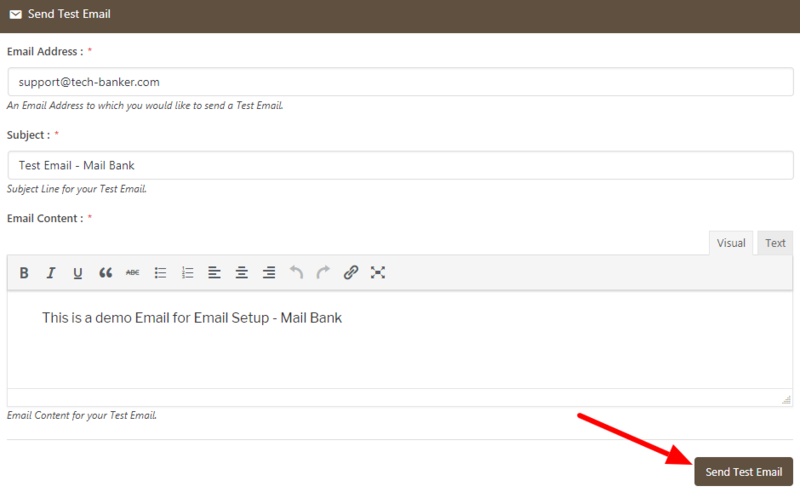 First of all, you have to scroll to the WP Mail Bank Menu & choose the Setup Wizard. Now, you need to choose Mailer Type » Sent Email By SMTP. You have to set the following details in the WP Mail Bank WordPress plugin in order to configure Office 365 using Username & Password. Note: This is all you need to set up Office 365 with Username & Password. If you are not using Username & Password to configure Office 365, follow the next step for office 365 configuration with OAuth. You can configure Office 365 with OAuth Authentication. To do so, you have to provide Application ID and Secret Key. Try out the details mentioned below to configure Office 365 with oAuth. 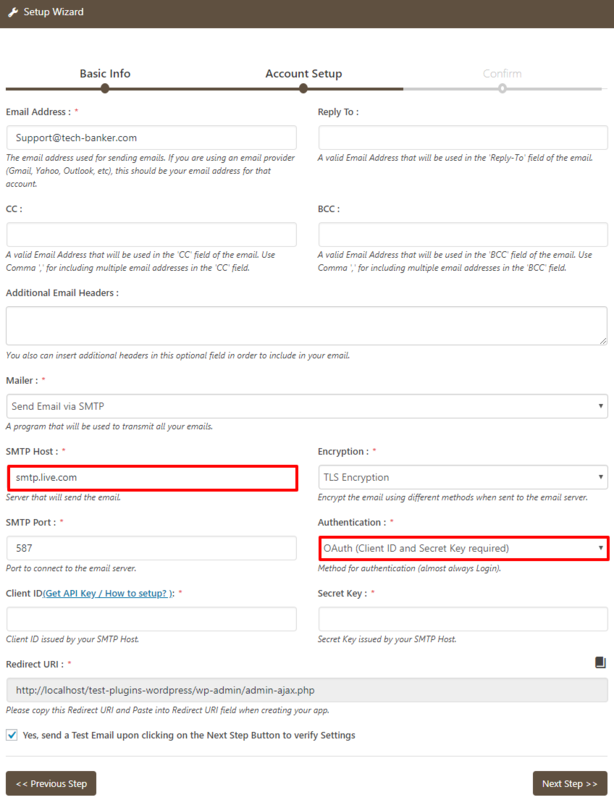 How to get Client ID & Secret Key for Office 365 SMTP? Give a suitable Name ( Example: WP Mail Bank Configuration ) for your application and click on the Create Application button. Next, you will see a window showing Application ID and Application Secret. Copy the credentials one by one and Paste them back in your WP Mail Bank settings. 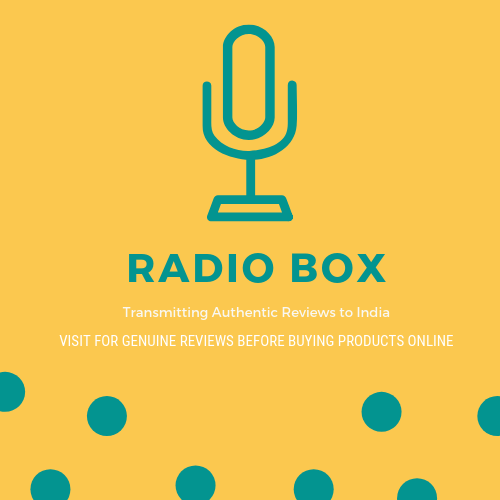 You must have seen the Redirect URI below the Client ID and Secret Key fields, copy that URL and Paste it in Office 365 application. After pasting Redirect URL, click on the Save Changes button. Go back to your WP Mail Bank Configuration window. This is the time you have to check whether your configuration is correct or not. Click on Next Step button. 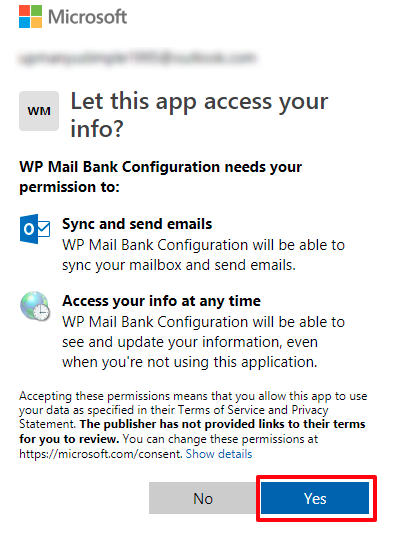 Grant permission to Microsoft to allow WP Mail Bank to access it. Click on Yes button. We hope this article helped you configuring the Office 365 SMTP with WP Mail Bank WordPress Plugin. You may also want to see our WP Mail Bank configuration guide with G suite, Yahoo SMTP, SendGrid SMTP and, MailGun SMTP.